More from the Shah brothers, going way back into time this time. And it's a real charmer, sounding sprightly, upbeat and fun. It contains none of the Western elements Kalyanji Anandji became famous for - it was one of their earliest efforts - so for some it'll be an acquired taste, as it was for me. But once you get into to it you'll find gold. Similar to that on 'Detective', which I - and I think a lot of you - enjoyed a while back. Highlights? Take your pick. At the moment I'm really fond of the sweet 'Baje Payal Chhun Chhun', the lively 'Chhalia Mera Naam' and the 'Title Music'. But almost everything on 'Chhalia' [review] is ace, so do check the entire album out. This is one of the few Raj Kapoor movies that I've actually liked. Great music! No, I saw it loooonnnng ago...would need to rewatch it in order to write one :-) In fact, I didn't even know anything about Manmohan Desai at the time. Sacrilege! 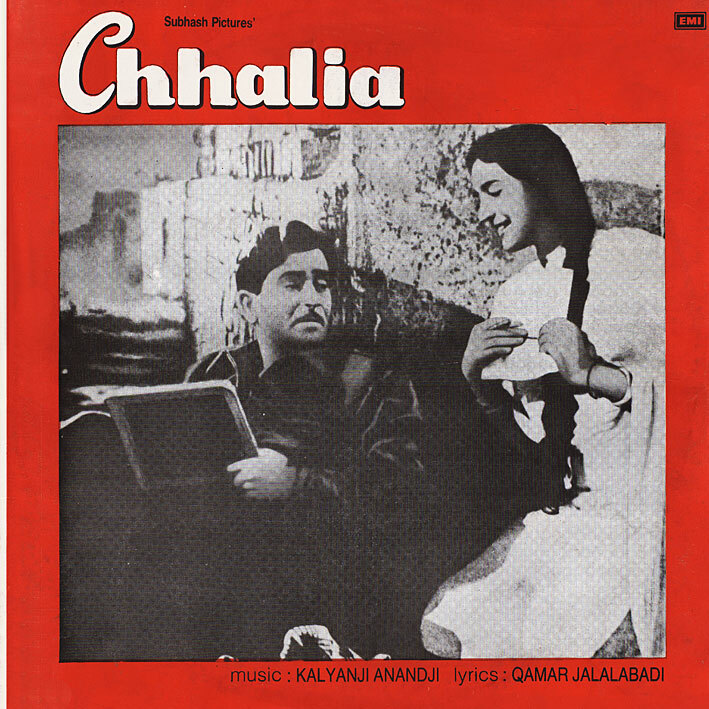 While 'Chhalia' was certainly one of KA's most famous scores, it being one of their early ones, it is highly reminiscent of the SJ school of music, whom they were highly influenced by. I'm definitely going to check this one out. Thanks for all the great gems. I wish I could add something a little more, but this will have to suffice until I actually listen to it. Good work man . Hope you will maintain the standard of the blog .